92.44 - 104.14 Sq. Mtr. A beautiful place like home has no comparison because it gives freedom, privacy, choice and peace altogether. So you are completely lucky because Godrej Properties offering its next level home space “Godrej The Park” in sector 33, Sohna Gurgaon. Extreme beauty, international level space, complete security system, mesmerizing units and more perks are ready to deliver its new experience in Godrej Nature Plus The Park, Sohna. As the name suggests, it has a high level green zone, so its eco friendly ambience gives you a complete healthy realm to imbibe quality air. High development piques the standard of living, so push yourself to a paradise that represents your standard and blends you with the every happiness that you hanker undoubtedly. The Park is all ready to give its perks to create a perfect leeway to embrace world’s happiness and joy in one place. 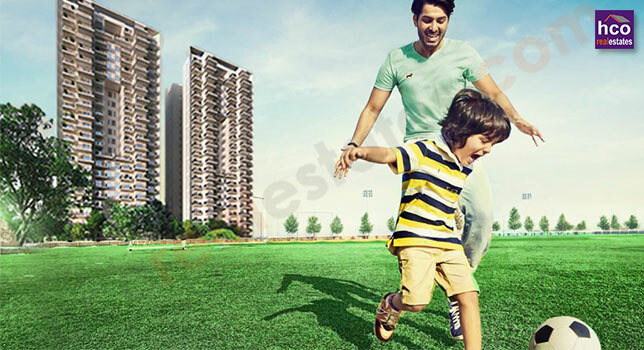 Godrej The Park Sohna is smartly dotted in sector 33, Sohna (also known as South of Gurgaon), so connect yourself to all important hubs and curtail long distance because travelling can be a fun when you move to an intelligent address. So have a new age home holding comforts and perks to the brim because your family needs a class, smartness and serene in your own home that never lets you feel blue. Address for big shots- your journey starts here!! !